Remember at the start of the Summer, when you first heard about the DC Homebrew Shop? 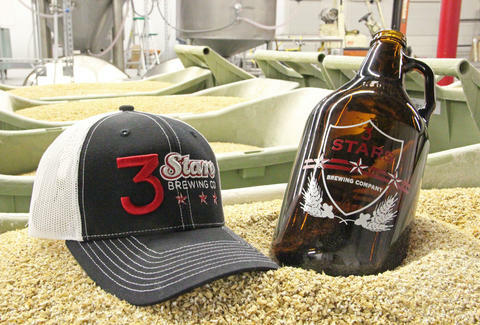 Well, go check your fermentation jug: that first batch should be just about ruined by now, so it's perfect that the same guys are opening up a place to buy beer instead, called 3 Stars Brewery. Tours of the growler-pouring, 10-barrel Takoma Park brewhouse start this weekend, so get ready to be fed "big, powerful, complex" beers by two big, powerful, possibly complex men: they met at the the Big Hunt, they have matching beards, and they're being all gruff and charming in this video right here. The 20-30min walk-throughs'll be first come, first serve, with an in-depth look at the beer-making process (grain, fermentation...you know the drill) ending at a sparse tasting room where, besides racks of more homebrew gear, the beer's all the pizzazz they need (there's also merch for sale, in case you want to buy a tee that will no longer fit over your new beer belly). You'll then get a taste of each of their three brews: the 9.6% ABV Pandemic Porter, the Belgian Urban Farmhouse (with "smooth, lingering citrus notes"), and an 8.7% Imperial brown ale called The Southern Belle, which'll debu-taunt you with its aromatic richness. Everything starts Saturday at 1p, where the opening day party'll have all the treats and tours, plus food from PORC truck, who, unlike your disastrous homebrew efforts, are happily still trucking.